For houses without central air conditioning, the most common solution is to install window AC units. These fit into windows, allowing a natural outlet for warm air whilst inside rooms are kept cool. However, window units are not the best idea for all spaces. Firstly, a window unit of course takes up valuable window space and can block light, and then some spaces just don't have window or windows of an appropriate size to install an A/C unit in. A secondary solution can be to fit a through the wall air conditioner. These install onto exterior walls, allowing again for access to the outside air. Quiet wall air conditioners are a big investment, since they tend not only to be more expensive than window units, but also require some hefty installation. The most expensive model on our list -- is the Friedrich CP18G30, which retails for around $750. However, this is a powerhouse of an AC unit. It has a full 18,000 BTU capacity, and can cool rooms of up to a thousand square feet, making it a great choice for larger spaces. Plus, the CP18G30 is suitable for either window or wall installation, giving you flexibility when it comes to where you can put your unit. It has a twenty four hour timer so you can preset the unit to work only when you need it, saving you money, and it also has three cooling settings as well as a fan only setting, so you can finely control the level of cooling that you get. 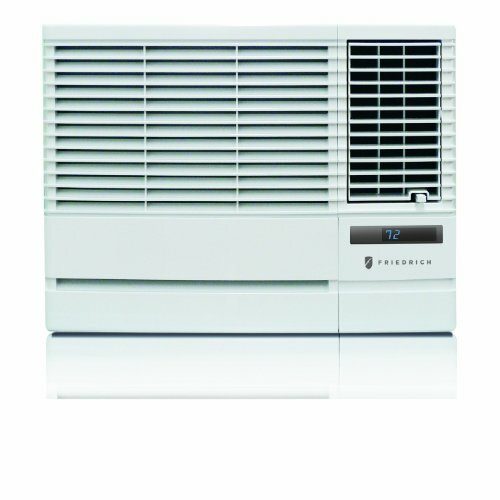 The Auto Air Sweep feature automatically changes the direction of the air outlet, so you get full cooling capabilities. And there's a washable antibacterial filter, so air will be cleaned of bacteria as it's sucked through the unit. The only downside of the Friedrich is the lack of remote control, which can make programming the device difficult if it's mounted high on the wall. But overall, this is a powerful AC choice. This Haier model is going to cost you around $660, so it's close in price to the Friedrich model. Again, you get a twenty four hour programmable cooling system, with three fan speeds. But this time you do get a remote control, for more convenient programming. You also get a dehumidifying mode which is perfect for those in a more humid area, and a four way air direction setting to make sure that the cool air is blowing in the direction you need it. However, this is only a 10,000 BTU model, so it's not suitable for larger spaces, and doesn't quite have the power of the Friedrich AC unit. But if you're looking for a convenient option for smaller rooms, then the Haier might be a good choice. Finally, this is another offering from manufacturer Friedrich, though this time more affordable at around $600. Again, this model is suitable for both window and wall mounting, so you have full flexibility. There are three cooling speeds, a fan only speed and a full twenty four hour programmable timer setting. This time the model is a little less powerful, it's an 11,500 BTU unit, so it's suitable for cooling up to around five hundred square feet. It is a universal fit model though, meaning that if you're replacing a current through the wall model this should easily fit your existing wall sleeve. And again, you get the washable anti-microbial filter, to cleanse air as it goes through the device itself. As in the more expensive model above, the US12D30 does not come with remote control. These all make good choices as home air conditioning units. All are of course virtually silent in operation -- being verified through tests as well as being confirmed by customers and users (all reporting a very low dB level) in contrast to standard wall air conditioners. The added convenience of the remote control makes the Haier model a great purchase, as long as you're only cooling small spaces. However, it must be remembered that the lack of remote is not necessarily a bad thing. It does mean that operation is simple, and that setting can't be changed unless someone climbs up to physically change them, which can be useful in a house with small children. Plus, the Friedrich models are more powerful and therefore better for cooling larger spaces, making them a better buy for some customers. 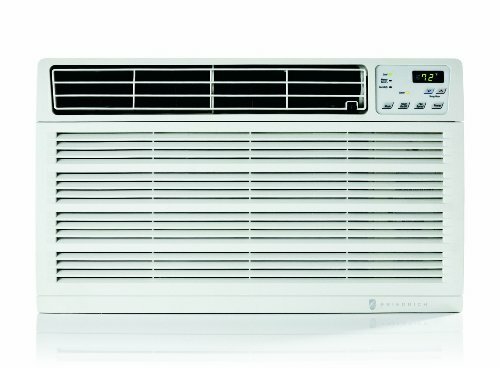 Finally, if you have any questions, comments or concerns regarding either the article overview of quiet wall air conditioners or about any of the models mentioned above then please be sure to mention them in the comments section that you will find just below and we will be sure to respond to you as soon as possible.